Freeman called a grand jury in Ruszczyk killing. Why? Listen Why call a grand jury? Hennepin County Attorney Mike Freeman's decision to convene a grand jury in last year's killing of 911 caller Justine Ruszczyk by Minneapolis police officer Mohamed Noor startled some who've been watching the case closely. Freeman's move to impanel a grand jury — while still planning to make the charging decision himself — could only mean one thing, they say: He's using the 23-citizen secret panel and proceedings as an investigatory tool. Grand juries typically review evidence, listen to witnesses, ask questions, look at documents and then deliberate and come up with an in indictment or clear people of wrongdoing, said Susan Gaertner, former Ramsey County prosecutor and current attorney with Gray Plant Mooty. The investigative power isn't widely known, but it's there. "Grand juries do have the power, and this is long-standing, it's right in Minnesota statute, to investigate situations and to use their power to do so to compel people to share what they know," she said. Noor fatally shot Ruszczyk in the alley behind her home last July after he and his partner, officer Matthew Harrity, responded to her 911 call. Ruszczyk, known professionally as Justine Damond, had called to report a possible assault in her southwest Minneapolis neighborhood. Harrity told investigators he was startled by a loud sound near the squad. Immediately after, Noor shot Ruszczyk, while sitting in the passenger seat, through the open driver's side window. Freeman's decision to convene a grand jury in the Noor case is significant because two years ago, Freeman had vowed to stop sending police shooting cases to grand juries in the wake of the 2015 killing of Jamar Clark by a Minneapolis police officer following a confrontation. At the time, Freeman's office said charging decisions on police shooting cases would be handled by his office going forward, breaking with a longstanding practice. It was viewed as a victory for advocates who believe grand juries less likely to charge officers, although ultimately Freeman decided not to press charges against the officer in the Clark killing. "For me, grand juries should no longer be used in police shooting cases in Hennepin County," Freeman said in a March 2016 statement. 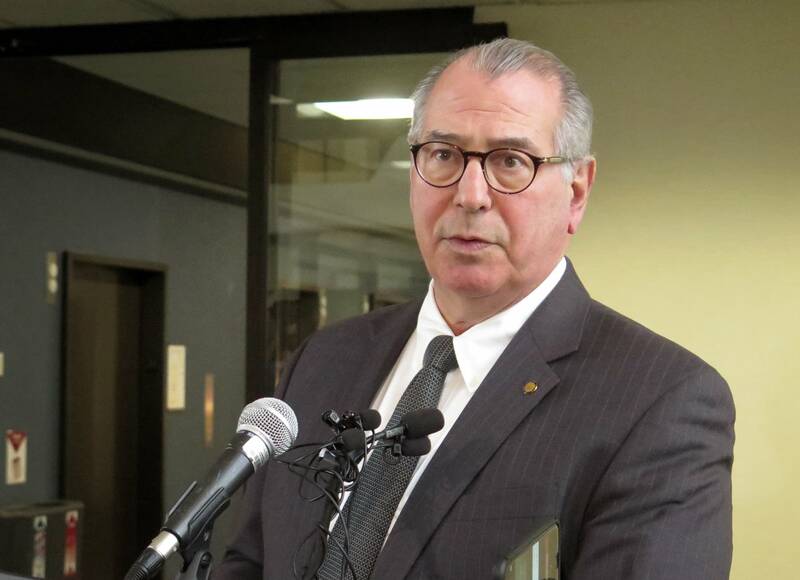 The Hennepin County Attorney's Office on Thursday confirmed a grand jury had been convened in the Ruszczyk killing and emphasized that policy calling for Freeman — not a grand jury — to make charging decisions in officer-involved shootings had not changed. Freeman had been expected to decide whether to charge Noor by the end of last year. The state Bureau of Criminal Apprehension turned over its findings to Freeman in September. Last month, however, Freeman said the probe would continue into 2018. In mid-December, Freeman told a group of union members that he did not have enough evidence to decide yet whether to file charges against Noor and blamed BCA investigators for not doing their jobs. He apologized once the comments became public. Freeman's office won't say why he chose to convene a grand jury this late in the investigation, but it has complicated matters. While the Ruszczyk family seems supportive of an aggressive effort to compel people to testify, some members of the public are questioning Freeman's intentions especially when he vowed to completely forgo secret grand jury proceedings in police shooting cases. "So, already in the next big case, he is going back on his word and making a different decision," said Nekima Levy-Pounds, a civil rights attorney and community activist. "And I would argue that the decision that he is making is a result of the public pressure that he is receiving from the white majority and from affluent people to make sure that there is some form of justice in this case." Levy-Pounds said it's also concerning because now the public doesn't know what to expect in future cases. "Instead of weighing the evidence that he has and using the discretion that he has to reach a decision about whether to charge the officer, now he's taken multiple steps backwards and bringing it before a grand jury, making the process look as though it is a fair process," she added. "When in reality, he has all the power and control behind closed doors with the grand jury." In grand jury proceedings, the prosecutor runs the show. The process doesn't involve counter arguments by defense attorneys. But Gaertner said prosecutors "can't invent evidence. Can't make things seem to be what they weren't." Grand jury proceedings are private to protect the jurors themselves, the witnesses and the accused. Those who don't trust the process, however, say a prosecutor can create a narrative favorable to the outcome they desire. They can compel certain witnesses to testify and no one would ever know what those testimonies entail. One key witness here is Noor. The officer has so far refused to talk to investigators asserting his Fifth Amendment right against self-incrimination. A grand jury can subpoena Noor, but he can still invoke the same rights and choose not to testify. The only other witness is Harrity. How much he's told investigators is still not public and it's unclear what more he could say in a grand jury testimony. At the union holiday party last month, Freeman said Harrity didn't provide enough information to bring charges. Noor is Somali and Ruszczyk was a white native of Australia. Levy-Pounds said the racial dynamics cannot be ignored. If he's the first police officer in Hennepin County to face charges for an on-duty killing, there will be questions about why that happened. 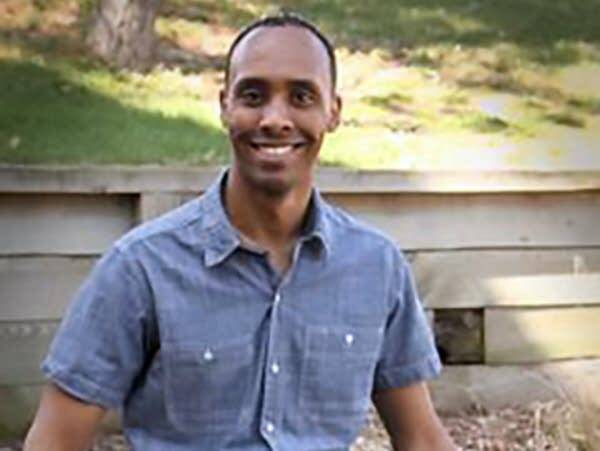 "There is a real possibility that this officer will be charged for killing Justine Damond," she said. "But the question is, why is he being charged? Is he being charged under the same set of rules and laws and policies as we have seen other officers not be charged who have also needlessly taken a life of a civilian?"